This will be my last Christmas Card for the year. This card is also a Thank you to my Christmas Angel. From far away came a package containing Frosted Film, thus this card. I just love everything about this card. I’ve never had much luck with crackle medium, but this time I’m really pleased with the results, I hope some of the close pictures will show the small details. 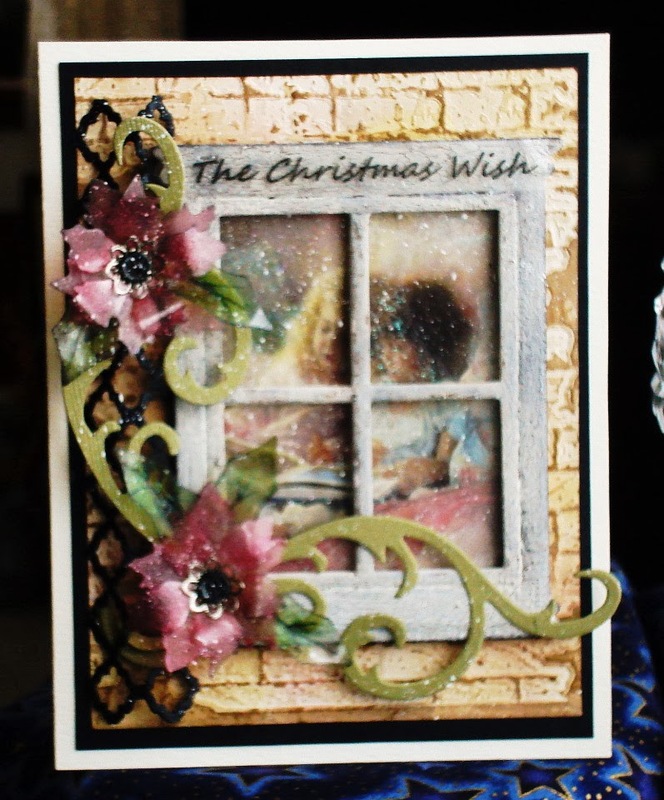 I used another new die from Tim called Window Box frame and Elegant Flourishes. For the Frosted film I used the small poinsettia Movers and Shapers die. The black lattice is a die from Spellbinders. 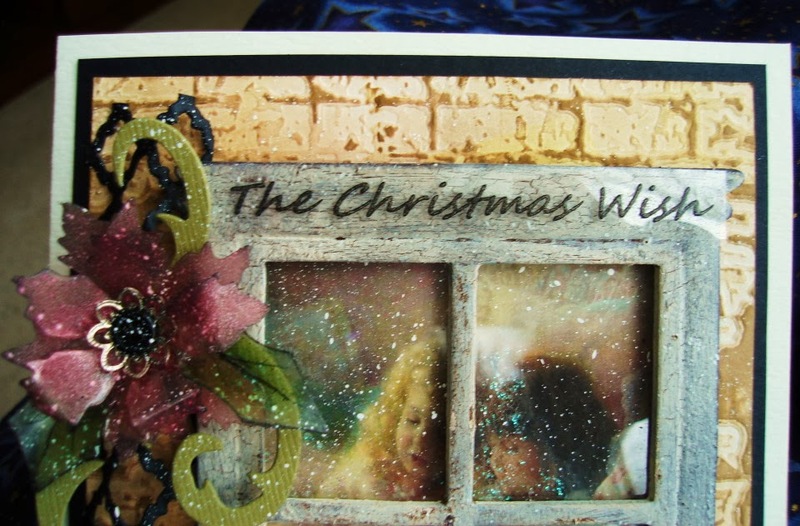 The brick wall is an embossing folder also from Sizzix. The two little girls, is a graphic from The Graphic Fairy. I used packing material for the windows and frosted it with Matte Medium and Clear Rock Candy distress crackle paint. Sounds like a lot of work, but really it wasn’t. Have a Wonderful Christmas and May all Your Christmas Wishes Come True. I also love this card, and what a wonderful creation to end 2013. The poinsettias look so fragile and beautiful, the whole piece depicts a winter scene wonderfully. I also wish you a Merry Christmas, with fun and laughter. I will catch up with you in 2014....keep safe. My dear Vada, you are a riot! I love your spunky nature! The frosted poinsettias are gorgeous, absolutely gorgeous! And the window frame (yeap on my list and maybe hubby found one)die certainly looks like an old window! Love the window glass you created as well to go with those little darlings! This is absolutely beautiful! Finished with the rest of the grocery shopping today! Happy weekend and sending hugs! 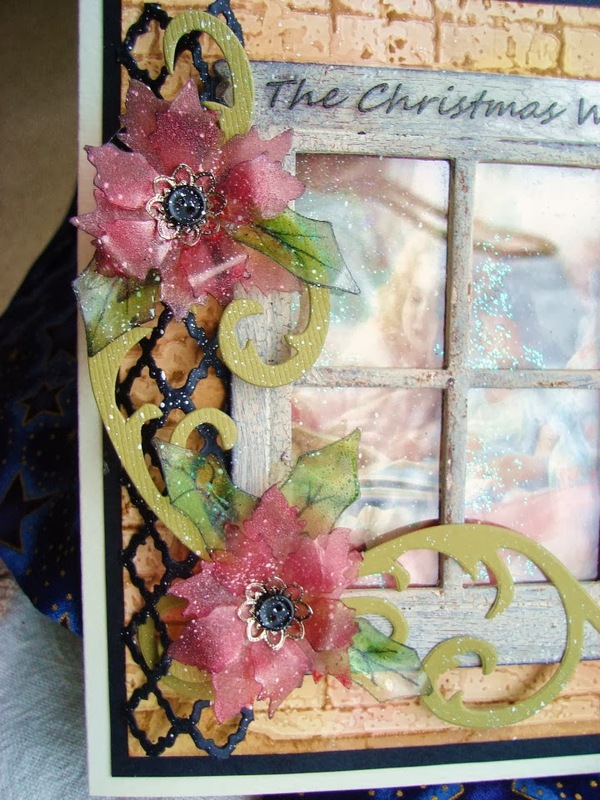 Dear me- love all of the beautiful details- the shimmer and crackle and the beautiful flower! Hope you have a Merry Christmas!!! 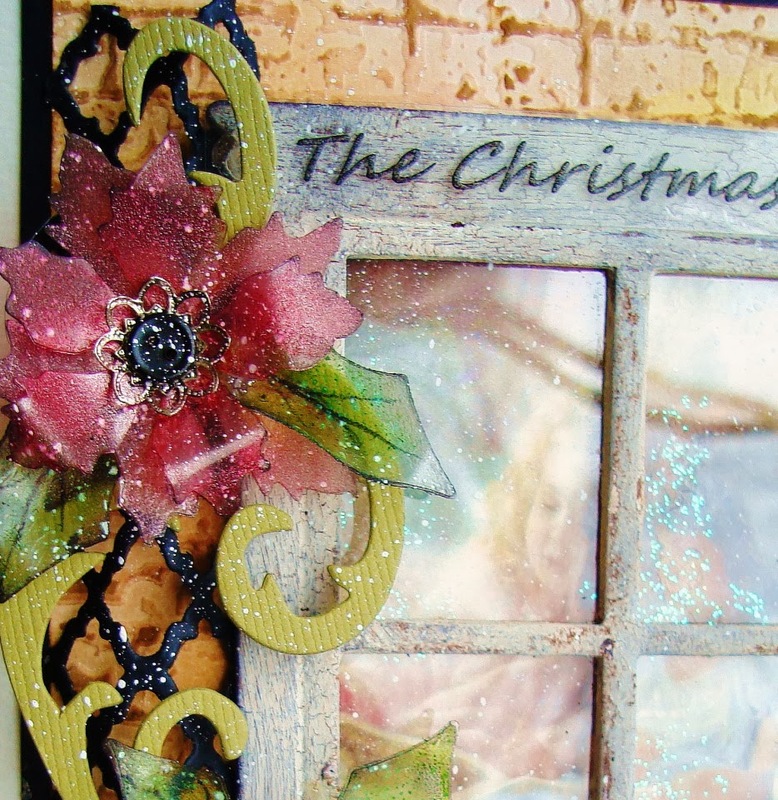 Oh that is just precious, love the image from the window and the crackle worded perfectly!! Merry Christmas, Vada! This is such a beautiful creation...but all of your work is beautiful.